At a press conference this morning, New York Assembly Health Committee Chairman Richard Gottfried (D-Manhattan) and state Senator Liz Krueger (D-Manhattan) announced their intent to introduce legislation to legalize the possession, cultivation, and retail sale of cannabis. The proposed Assembly and Senate measures would allow adults over the age of 18 to possess up to 2 ounces of dried marijuana, 1/4 ounce of marijuana concentrates, and to cultivate up to 6 plants. The legislation would also establish regulations for state-licensed retail cannabis outlets throughout the state. Retail sales would be limited to adults over the age of 21. New York City Comptroller John Liu estimates that taxing the commercial production and retail sale of cannabis to adults would yield an estimated $400 million annually, just in the city alone. According to a 2013 ACLU report, no state arrests more of its citizens for marijuana possession than New York. NEW YORK RESIDENTS: Click here to easily contact your elected officials and urge them to support this legislation. The New Jersey Assembly Agriculture and Natural Resources Committee voted 4-1 in favor of Assembly Bill 2415. This legislation would legalize the licensed cultivation of industrial hemp. Members of NORML New Jersey were present to testify in favor of this legislation. The United States is the only developed nation that fails to cultivate industrial hemp as an economic crop, according to a 2005 Congressional Resource Service (CRS) report. Hemp is a distinct variety of the plant species cannabis sativa that contains only minute (less than 1%) amounts of tetrahydrocannabinol (THC), the primary psychoactive ingredient in marijuana. Farmers worldwide grow hemp commercially for fiber, seed, and oil for use in a variety of industrial and consumer products, including food and clothing. 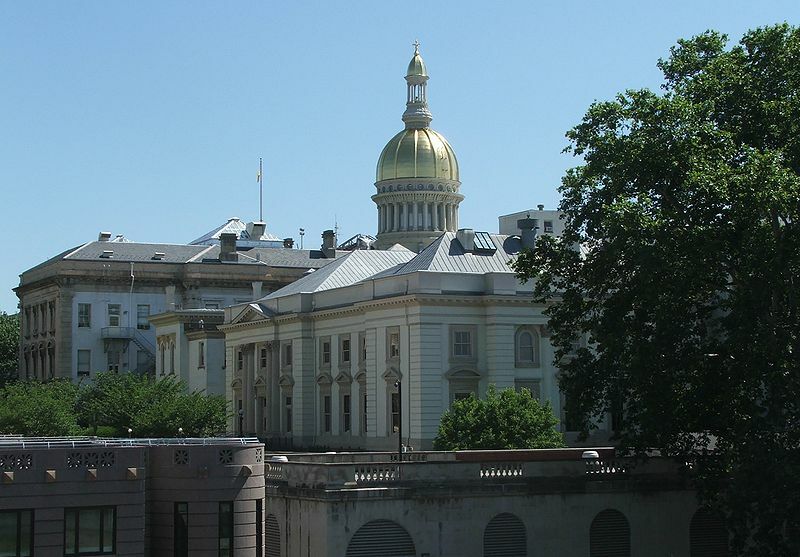 Assembly Bill 2415 would allow New Jersey to authorize a licensed, statewide hemp industry. A2415 now awaits action on the floor of the New Jersey Assembly. NJ: You can quickly and easily contact your elected officials in support of this legislation using NORML’s Take Action Center here. Legislation that allows for the therapeutic use of cannabis by qualified patients, Assembly Bill 6357, was approved today by members of the New York state Assembly in a 95-38 vote. The debate now moves to the Senate where members are expected to take up companion legislation, Senate Bill 4406, in the coming days. These measures would allow for the therapeutic use of cannabis by qualified patients who possess a recommendation from their physician. They are being supported by a bi-partisan coalition of more than 50 lawmakers. Under these measures, state-registered patients diagnosed with one of over a dozen serious medical conditions — including cancer, HIV, post-traumatic stress, arthritis, diabetes, or epilepsy — would be allowed to possess up to 2 and one-half ounces of cannabis. The measure also allows for the establishment of licensed not-for-profit and for-profit facilities to produce and distribute cannabis to qualified patients. Non-registered patients would be able to present an affirmative defense of medical necessity at trial. New York voters strongly support allowing patients to have access to marijuana therapy. According to a 2013 Sienna Research Institute poll, 82 percent of New Yorkers — including 81 percent of Democrats and Republicans — endorse the use of marijuana when authorized by a physician. This is an increase in support of 21 percent since pollsters last asked the question in 2012. Despite this widespread public support, Senate Co-Leader Dean Skelos (R-Nassau County) has stated his opposition to the measure. New York Governor Andrew Cuomo stated he opposed the measure, but was keeping an “open mind” on the issue. If you live in New York, it is imperative that your elected officials hear from you. Please take a minute and click here to quickly and easily contact your State Senator, Senate Co-Leader Skelos, and Governor Cuomo and tell them to stand with the overwhelming majority of New Yorkers by supporting this important legislation. NORML will continue to update you in the coming weeks as this proposal moves forward. You can track the progress of marijuana law reform legislation in other states via NORML’s ‘Take Action’ page here. The New Jersey General Assembly this evening voted 44-30 in favor of Assembly Bill 1465, which removes criminal penalties for the possession of approximately one-half ounce of marijuana. Members of the state Assembly Judiciary Committee had previously approved the measure by a unanimous vote. Presently, the possession of this amount of marijuana carries a penalty of up to a $1000 fine and six months in jail. A conviction also results in a criminal record that cannot be expunged for at least five years, the loss of driving privileges, and other penalties. The measure now awaits action from the state Senate. If you reside in New Jersey, you can click here to contact your state Senator and urge them to support this important legislation. If the bill obtains Senate approval it will still face a major hurdle, as Governor Chris Christie publicly stated he intends to veto the bill should it reach his desk. (An override of the Governor’s veto would require 54 ‘yes’ votes in the Assembly and 27 ‘yes’ votes in the Senate.) It is unfortunate that the Republican Governor and former federal prosecutor refuses to listen to the will of the voters, as a November 2011 Eagleton poll found that 58 percent of New Jersey residents believe that penalties regarding the use of marijuana should be decreased and 55 percent of them believe that marijuana possession penalties ought to be be eliminated entirely. Just days earlier, Rhode Island Gov. Lincoln Chafee enacted a similar marijuana decriminalization measure into law, amending pot possession penalties from a criminal misdemeanor (punishable by one year in jail and a $500 maximum fine) to a non-arrestable civil offense — punishable by a $150 fine, no jail time, and no criminal record. Eight states – California, Colorado, Connecticut, Maine, Massachusetts, Nebraska, New York, and Oregon — similarly define the private, non-medical possession of marijuana by adults as a civil, non-criminal offense. Five additional states — Minnesota, Mississippi, Nevada, North Carolina, and Ohio — treat marijuana possession offenses as a fine-only misdemeanor offense. Alaska imposes no criminal or civil penalty for the private possession of small amounts of marijuana. Earlier today, Governor Chafee signed Rhode Island’s decriminalization measure into law. Last week, both the state Senate and General Assembly overwhelmingly approved the bill. The new law reduces the possession of up to one ounce of marijuana by an individual 18 years or older from a criminal misdemeanor (punishable by one year in jail and a $500 maximum fine) to a non-arrestable civil offense — punishable by a $150 fine, no jail time, and no criminal record. It takes effect April 1, 2013. You can read further coverage here. Only several hours after Governor Chafee put his signature on decriminalization in Rhode Island, the New York state Assembly approved of AB 7347, which would amend state law to allow qualified patients to possess up to 2.5 ounces of medical marijuana for therapeutic purposes, by a 90-50 vote. This marks the third time the Assembly has passed such a measure; however, in previous years similar legislation has stalled in the Senate. Action is now awaited on AB 7347’s companion legislation Senate Bill 2774. You can contact your state Senator and urge them to support this legislation by clicking here. You can read the bill text here.